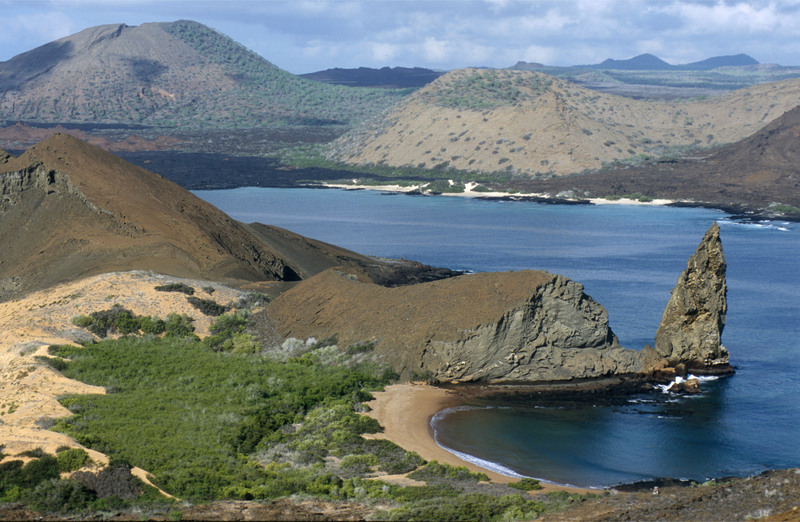 The Galapagos Islands beckon with surreal beauty. 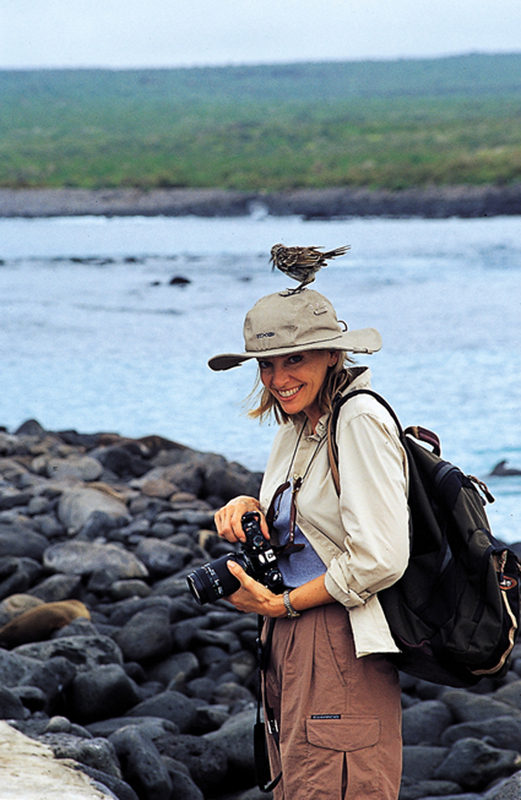 A trip to the Galapagos Islands? Yes, please. Oh, on a new 20-person expedition yacht? Yep, my bags are packed! Ecoventura, an operator of environmentally friendly, small expedition yachts, is debuting the region’s newest premium-class vessel in early 2016. The company is now taking bookings for the MV Origin’s inaugural cruise—departing on Jan. 3, 2016—that will combine quality guided land excursions, gastronomical delights, heart-pounding physical activities and a dose of intellectual science for a thoroughly life-enriching experience. The Jacuzzi is a great place to take in the views. Designed for discerning guests, the environmentally efficient yacht combines modern sophistication with incredible comfort and service. 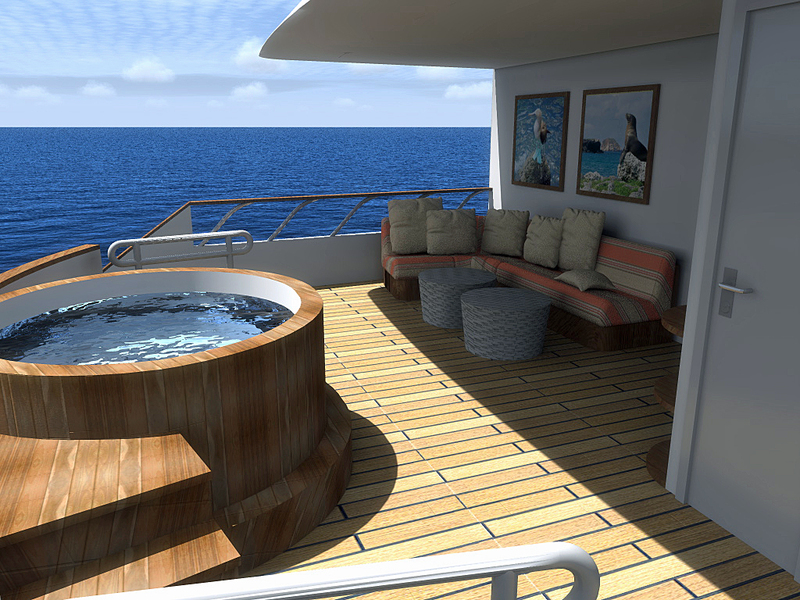 Once you’re granted permission to come aboard, you’ll find social areas that include a library, a boutique, a computer station, lounge areas, a Jacuzzi, a sun deck, recliners, a fitness center with cardio equipment, a wet bar and a dining room (although some lunches will be served al fresco on the deck). The culinary school-trained chefs will wow your palate with locally sourced, healthy, gourmet-style menus, while two expert naturalist guides and a concierge will be at your beck and call. You can also book a professional masseuse (at an additional charge on private charters). Other amenities include guide lectures, cooking demonstrations and yoga—all of which will be a part of the on-board options. So, you’re sure to find something to keep you occupied—or not—the choice is yours! 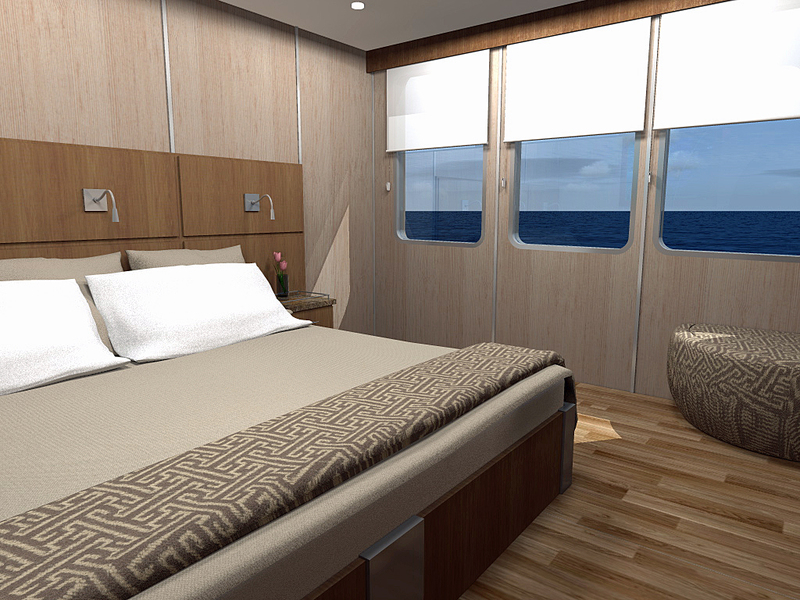 The 10 staterooms offer modern luxury combined with comfort and service. You’ll stay in one of 10 deluxe staterooms—all located on the main deck—with panoramic windows and a private bathroom. Each stateroom features two twin beds that convert to a king, two connecting cabins, fine linens, bathrobes, satellite TV and more. We should do this next year for vacation ! !